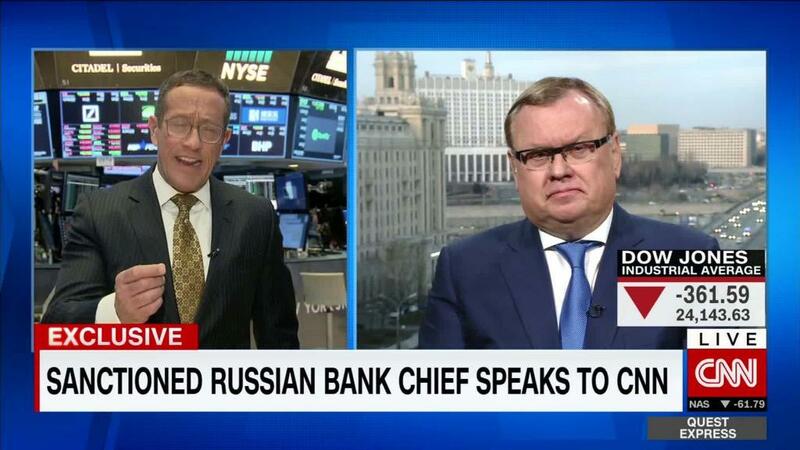 Russian oligarch can save his sanctioned companies. But will he? The world's second largest aluminum producer is being pulled apart in a high-stakes tug of war. At one end of the rope is the US government. At the other is Oleg Deripaska, the sanctioned Russian oligarch who controls metals giant Rusal through a stake in holding company EN+. Rusal, which produces 7% of the world's aluminum, has been under intense pressure after it was included last month in US sanctions targeting Deripaska. International buyers and commodity exchanges scrambled to sever ties to the company, putting its survival in doubt. Still, reports of its demise may be premature. The US government has made clear in recent days that sanctions on Rusal could be lifted -- depending on how much rope Deripaska is willing to cede. One positive sign came Tuesday, when the US Treasury extended a deadline for stakeholders to divest from Rusal and EN+ until June 6. The move comes after Deripaska agreed last week to reduce his stake in EN+ to below 50% and resign from the firm's board. Treasury's decision to extend the deadline allowed EN+ to maintain its listing on the London Stock Exchange. Investors have cheered the developments. The price of aluminum, which shot up by nearly a third after the sanctions were announced, has returned to levels seen in January. Rusal shares have surged over 70% from their post-sanctions low. US sanctions announced April 6 targeted oligarchs and government officials and were designed to punish Moscow for meddling in the 2016 presidential election. For Deripaska, one major question still looms: Has the Kremlin insider done enough to satisfy the Trump administration? US Treasury Secretary Steven Mnuchin said Monday that discussions with Rusal had so far been "encouraging." "There are lots of facts and circumstances that we are discussing. The first aspect would be that [Deripaska] sells down below 50%," Mnuchin told Bloomberg TV. "Our objective was not to put Rusal out of business." But the oligarch may be required to do much more. Last week, a Treasury spokesperson said that "a reduction in the percentage of ownership by a sanctioned individual is not necessarily in and of itself a basis" for easing sanctions. "I suspect that bringing it under 50% isn't good enough," said Brian O'Toole, a senior fellow at the Atlantic Council who formerly worked as a senior adviser to the director of the Treasury's Office of Foreign Assets Control. O'Toole said that under a normal process, Treasury would be looking for a sanctioned individual to fully divest and give up operational control of a company before it's removed from a sanctions list. Negotiations are often fraught, he said, citing a sanctions case involving two Panamanian newspapers that took over a year to resolve. "This is going to be a tough nose fight," he said of sanctions on Rusal. "I wouldn't be shocked if it drags on for a couple years." Even if Deripaska does decide to give up control of his companies, a buyer who was acceptable to the US government would need to be found. That could prove difficult given the politics involved. Rusal, which will struggle to do business in the West while under sanctions, will continue to atrophy while negotiations are ongoing. "Washington and Moscow will each calculate it has leverage over the other... and likely force a certain amount of brinksmanship over any eventual deal," said O'Toole. Deripaska emerged from the chaotic scramble for assets following the collapse of the Soviet Union with a massive fortune, which Forbes estimated at $28 billion in 2008. Soon after, a sharp decline in commodities prices during the financial crisis caused his net worth to plummet. Deripaska has a longstanding relationship with Russian President Vladimir Putin. He is also a former business associate of Trump campaign chairman Paul Manafort, who has been indicted as part of an investigation by US special counsel Robert Mueller. Manafort has pleaded not guilty to all charges against him. Deripaska has described the US sanctions as "groundless, ridiculous and absurd."